CDAB, in the heart of the Upper East Side, is one of New York’s most established ballet and dance fitness studios. Founder and teacher Anna Lederfeind has developed a range of innovative and unique fitness programs. In response to the needs of her students and to fulfill her vision of an effective and safe fitness method grounded in authentic, classical ballet barre techniques, Anna created Body Ballet®. Body Ballet® is a 90-minute, heart pumping workout targets every part of your body from your toes (yes!) and feet to your neck and head. In New York, at The American Dance Machine, Anna trained with Nenette Charisse and Lee Theodore as well as taught. She has also been a guest ballet teacher at The Martha Graham School of Contemporary Dance; Director of graded level ballet at American Youth Dance Theater in NYC, and taught intermediate and advanced Ballet at Coupe Theater Studio in Nanuet, NY. Anna works closely with each student using hands-on personalized placement to show correct positions and mechanics, prevent injury, and to build self-confidence with personal expression. Currently Anna teaches at Alvin Ailey American Dance Theater in the Junior and Professional Division. She is also faculty member for the Professional Performing Arts School. Additionally, Anna is an ABT® (American Ballet Theatre) Certified Teacher, having successfully completed the ABT® Teacher Training – Primary through Level 7 and Partnering of the ABT® National Training Curriculum. After successfully presenting her students for examination, she became an ABT® Affiliate Teacher in 2010. Her recent certification is in Levels 1-5 with the Bolshoi Ballet Academy Teacher Program. 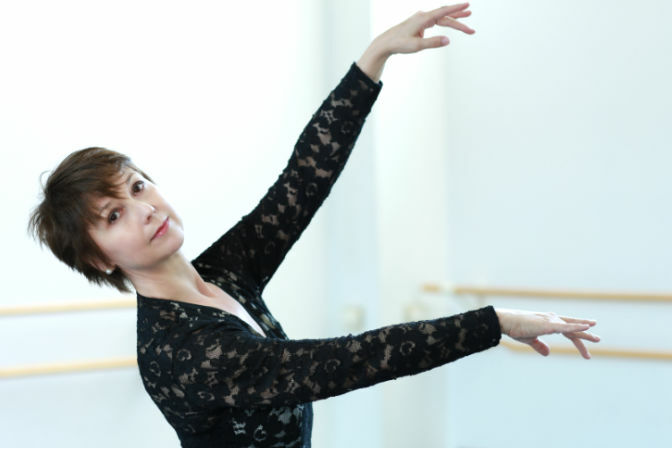 Anna Lederfeind's teaching includes the three basic academic methods that comprise the classical ballet syllabus: French School, Cecchetti and the Russian Classical ballet technique. She is able to adapt to the needs of her students; professionals, pre-professionals and amateurs alike through her “technique de base” approach. As a lifelong dance professional, Anna also founded Center for Dance and Body (CDAB) on the Upper East Side of New York as a way to make the artistry and athleticism of dance accessible to adults, both professionals and non-professionals. In her popular class Body Ballet®, she uses unique Ballet Barre exercises with cardio strength-building techniques adapted from those practiced by professional dancers to maintain their fitness and long, lean bodies. The Body Ballet® program is a great tool that gets the body fit; whether it is for Ballet, any style of dance as well as overall health. Anna has now also introduced Beginner Ballet for adults, a true beginner class aimed at those who always wanted to learn ballet but never found the time or plucked up the courage.